With the signing into law of the Bipartisan Budget Act of 2018 early last year, additional tax policies were imposed revolving around HVAC systems with ENERGY STAR® certification. Such products, which boast 30% less energy usage, are eligible for tax credits. You can take advantage of these when you upgrade your current units to those with the ENERGY STAR label. Superior Air, home of your local heating and air conditioning repair pros, discusses more in today’s post. According to the Internal Revenue Service, you may be eligible for the Residential Energy Credit if you made energy-saving improvements to your US home in 2018. For most types of property, there’s no dollar limit on the credit. When it’s more than the taxes owed to you, the remaining portion left unused can be credited to next year’s tax return. Credits can still be obtained through the end of this year; however, the credit value will see a gradual decrease come 2020 that will continue until the end of 2021. Your local heating and air conditioning installation pros recommend filing Form 5695 with your tax return to claim your credits. It’s worth noting that tax credits are available for “residential renewable energy products.” These include geothermal heat pumps as well as solar water heaters, small wind turbines and fuel cells. In addition to tax credits, you can also be eligible for other financial incentives like rebates when you install or upgrade your HVAC system. Visit the ENERGY STAR website for more information. Also, consider consulting a professional tax advisor or financial planner for guidance with regard to tax credits. 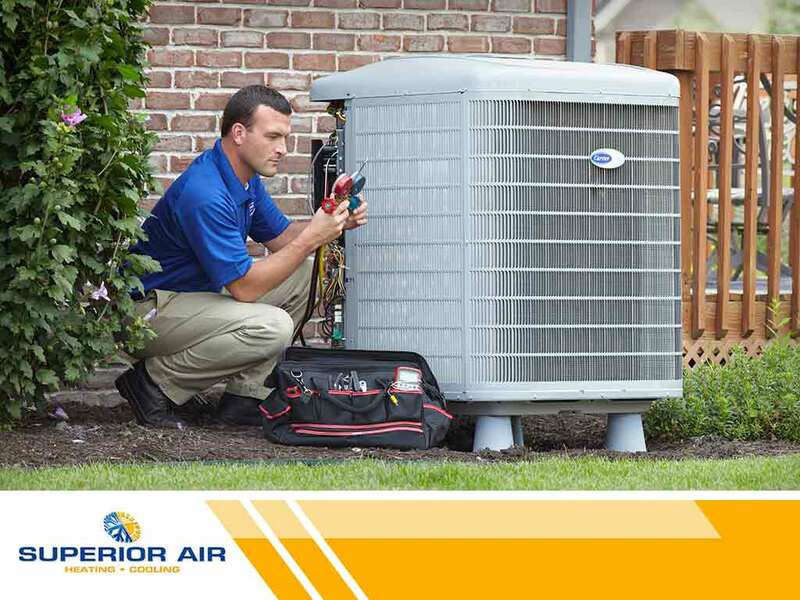 For your heating and air conditioning maintenance, repair and replacement needs, turn to Superior Air. We offer ENERGY STAR-certified products that can help you save money and energy in your home. To learn more about our services, give us a call (559) 342-0023. If you’re in need of service or would like to request a free quote for a new installation, you may also fill out our contact form. We serve residents of Visalia, CA.